This is my lastest go-to when I feel like having dessert on a Saturday night. It only takes a second to pull together and satisfies that urge for something to round out the meal. Without loading you down with sugar and carbs. 1. 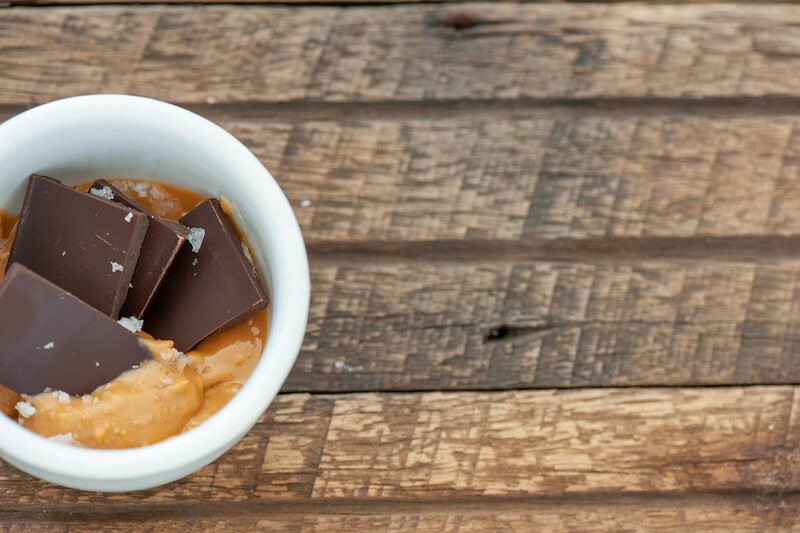 Divide peanut butter between two tiny bowls or glasses. I use Chinese tea cups. 2. Break chocolate into bite sized fingers. Dip them into the peanut butter. Sprinkle with sea salt flakes. WINE MATCH: A nice cup of herbal tea or chai. 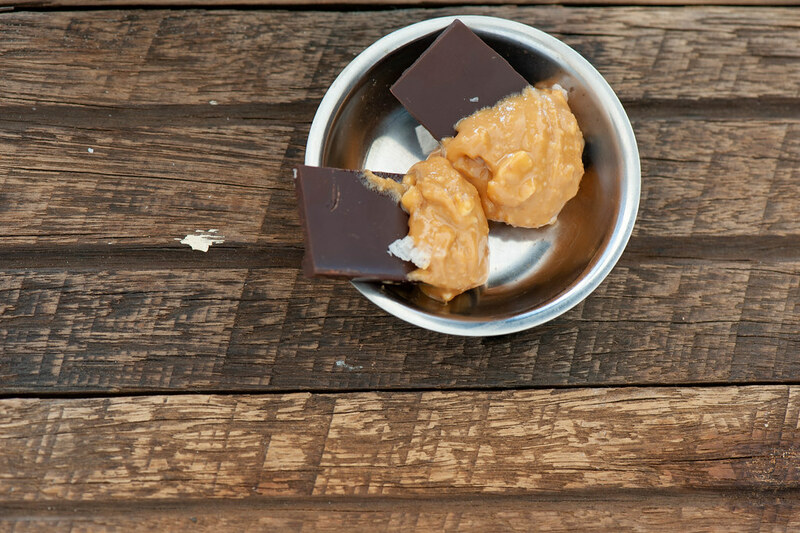 different nut butter – almond, cashew, brazil nut butters will all work if you’re not a peanut butter fan. If you have a high powered food processor – pecans make the most amazing nut butter. Just saying. nut-free – enjoy the chocolate on its own. Or try it with tahini (for tahini fans only – not everyone will like this).